Do you love sharing original ideas with others? Have you found that when you do conversations start and collaborations form? For over 15 years, one of my favorite friends to talk with and work with is Clay Stubblefield of AZWebcasting. Clay is the ultimate professional and so creative. One of his creations is MeetTheTweets, showcase of videos introducing us to people we hear from on Twitter. One of my creations is a little project called #BeOriginal – a place on Twitter where friends share their Original Ideas. We thought it would be fun to combine them, creating #BeOriginal Week on Meet The Tweets. So we put instructions out on the #BeOriginal Blog and let some of our #BeOriginal Contributors know where to find them. And, since I am ‘the original #BeOriginal’, I created a little video message to kick things off. Here it is. Let me know YOUR thoughts. And don’t forget to be on the look out for new great videos from other Originals. Just follow @MeetTheTweets on Twitter so you do not miss any. Sorry, I’m not a LION. No, I’m not talking about this majestic lady – Queen of the Jungle, I’m talking about LI-ONs, Linked In Open Networkers. People who pledge to connect to everyone on Linked In who sends them an invitation. You can normally tell a LION by a profile that reads LION or by their membership in a LION group. Some people make the mistake of assuming that someone that has 500+ connections is by default a LION, and that can be a costly mistake. It can result in a DNK or I Do Not Know this person response. Get too many of these and your Linked In privileges can be restricted. Successful networking, whether it is face to face, or profile to profile in cyberspace is about creating relationships. Once the relationship is formed, then you can move on to real conversations whether it is in the business world or the personal realm. When forming relationships, it is important to understand how the other person chooses to communicate and share information. It also helps to understand the boundaries or personal space preferences of the other person and adapt your behavior to theirs. Listed below are my personal boundaries. That does not mean they will be the same for you, but they might give you some ideas when you form your own. Exclusive – I limit my Linked In connections to people I actually know and have done business with. Having been on Linked In from almost the very beginning, I still have quite a few, but every single one is someone I know and can personally recommend to others. This enables the true power of Linked In – quality introductions. Inclusive – CorePurpose, my company, has a Facebook page. On it you can find blog posts, articles, and links that I choose to share. Facebook pages are highly inclusive. Like web pages or blogs, anyone can choose to see them or follow them. Exclusive – My personal profile by definition is more exclusive. If Facebook is for friends, then my personal choice is to keep it to friends and not connect to every person who finds my profile and wants to connect. I want to know what my friends are doing – and to do that, I intentionally keep the group smaller so I can actually find them in the crowd. Inclusive – On Twitter, I am at my most inclusive. I look for like minded people and I auto follow back the people who follow me. But more importantly, when people engage and talk to me with @mentions or non- automated DM’s, I engage with them and join the conversation. It was an article on CNN.com, Defriending Can Bruise Your ‘Digital Ego’, that got me thinking about all this. You see, I probably was “this one woman”. The message is one that I use frequently when contacted by people on Linked In that I do not know. It is not meant to be unkind, or rude, Just realistic. If I do not know you, I can not recommend you, and that is how I use that particular tool. ‘I only connect with people I know, and hopefully our paths will cross one day.’ I am not that hard to connect with and engage in other areas. Really – just Google me. In literature, as in legend, there have been many great quests. One in particular that has captured imaginations, for over two thousand years, is the search for a simple cup used in a great tale of transformation. Yes, The Quest for The Holy Grail. This quest has been the inspiration that sparked great literature, epic poems, and motion pictures running the gamut from Monty Python to Indiana Jones. While my quest is not one of such mythical proportion, as I sat pondering how to share my plans with you, the legend of The Holy Grail leapt to mind. I am, together with a valued group of friends, looking to acquire a controlling interest in a very particular company. Our search and the legendary quest have more than a few things in common. In both cases they combine Innovation, Leadership, and Growth to create Lasting Value. These are my personal passions. There is nothing like the feeling you get when you discover something with true potential and then do what it takes to Make It Great. This year, I have been working with a small team of friends and advisors to search out really cool deals. We’ve found some great ones, but not the right one. Not yet. Along the way, I have gotten much more active in connecting to friends old and new via a range of social media tools. However, it all came together when I was having lunch last week with Morris Callaman at a beautiful resort nestled against a mountain in Paradise Valley called Montelucia. And that’s how it started. So, here I am asking if you will help me locate the company I would like to lead next. 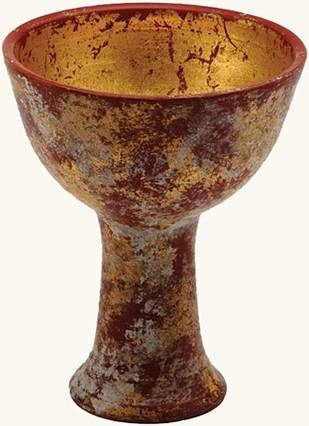 If so, then what follows are some of the criteria we find necessary to successfully recognize our “grail” when we find it. Ready? OK. Lets discuss a little detail around what this company is, and perhaps even more importantly, what it is not. An ideal company will be one where we can combine Innovation, Leadership, and Growth to create Lasting Value. Innovation in my book is doing something in a new way to make life better for the people who matter most to us – in this case employees, customers, investors, and strategic partners. It is a company with a product or service that can transform an industry or niche. For example, my friend Amilya Antonetti changed the way we look at soap in her quest to save the life of her son and now she is on a quest to help other entrepreneurs ask the right questions, get the right information and the things they need to succeed. Criteria #1: A product oriented company that will transform its market by creating new value through a better way of doing something(s). Unlikely Fits: Singing pop bottles, Presidential Pet Rocks, the corner store, or the next great social media tool. While there may be lots of investors looking for these, I am not one of them. A great idea only gets you so far before it needs more. In this case more is the ability to see the future direction of the company’s journey and to predict and obtain what it will need along the way. Many a great new company has lost crucial momentum when the leader that led the way for the first stage of the journey is not ready for the next stage of that steep uphill path, which many entrepreneurs forecast and yet few would want to travel alone. The prize we seek on this quest will have a founder and a team that is looking for a new guide as they begin the climb to revenues and profitability so that everyone, employees, customers, investors and strategic partners alike, benefit from the next stage in the company’s growth. Criteria #2: A dedicated team in search of experienced leadership and resources to help them successfully move along the growth path. If ALL YOU NEED IS MONEY so that you can continue along the path you are already on. If your goal is to maintain the status quo. If, as the owner, you are not interested in passing the baton to the next runner in the growth relay. The company must have solid growth potential and demonstrate how it could scale to provide a more than reasonable return to the investors. Growth curves come in all shapes and sizes. There’s the steady incremental growth of a mature business, the graceful leaps of the Gazelles, and the inevitable ‘Hockey Stick” that appears over and over at every venture conference I have ever attended. Yet, in the real world, it’s not the pretty charts and pictures that matter, it’s the foundational elements that make a transformational company stand out. Some Gazelles grow to be great companies, while others rapidly run out of steam after the initial burst of growth. Hockey Stick Growth Curves can be ‘the big pay day’ or they can simply be a sign of a business in danger of snapping under the pressure of too much, too fast. Criteria #3: The best true indicators of growth potential are not charts and graphs, but rather how does the company (or product) provide a solution that is usable by a large number of people and BETTER than substitutes (or lack thereof)? One more “me too” solution in an already overcrowded market. Product or services that are not designed to fill a genuine customer need (since customers must ultimately be willing to pay and karma is important to me). A ‘great idea’ that has not ever been built, tested, or sold to ANYONE (since I’d like it to already have at least one customer). And in the end, building a great company is more than just creating a widget, jobs, or shareholder value. Criteria #4: It’s creating something to believe in, and be proud of, for the people who matter most to us (employees, customers, investors and strategic partners). Products or services you would be embarrassed to discuss with your parents. Products or services that add no value to or potentially even harm the community, the environment, or others (since that just isn’t who I am). Any product or service that makes promises it cannot keep (since that certainly isn’t me either). So that’s my list. Have YOU seen this company? Of course, there are at least two BIG differences between my quest and the search for The Grail of legend. One, I know that I’m going to find what I am seeking, and Two, this is more than a personal journey, it is also an experiment in the power of social media. So, if you’ve seen this company please let me know. You can always leave me a note here, on my blog or, if you want to keep it confidential, you can also contact me by clicking here. As long as we are on the subject, if you happen to be looking for a company too, just let me know what YOU are searching for and I’ll be happy to pass along what I may find for you along the way. 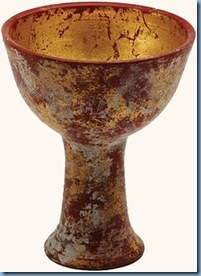 Unlike the fabled Holy Grail, there is more than just one great opportunity out there. P.S. One of the best parts of this journey is connecting, engaging, and being inspired by fellow entrepreneurs. On Thursday, November 12th in Phoenix Arizona I will be doing just that at AZEC09. Who knows maybe I will see YOU there and we can chat. I was scanning some articles online this morning when I cam across a fun one at How Stuff Works titled 23 Must-Have Toys from the 1950s and Beyond. So I decided to check it out. Of the 23 ‘must haves’, only Strawberry Shortcake never made it into either my or my children’s toy collection. 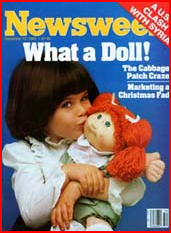 But it was the Cabbage Patch Kids that brought back the memory of how one innovative toy really drew a crowd. Xavier Roberts was a teenager when he launched his Babyland General Hospital during the 1970s in Cleveland, Georgia, allowing children to adopt a “baby.” In 1983, the Coleco toy company started mass-producing these dolls as Cabbage Patch Kids. Each “kid” came with a unique name and a set of adoption papers, and stores couldn’t keep them on the shelves, selling more than three million of the dolls in the first year. 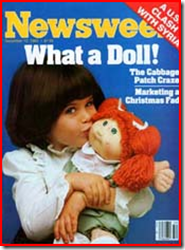 It was just before the Christmas holidays in 1983, and my fiance Chris worked at Coleco, home of the Cabbage Patch. EVERYONE was trying to get their hands on the little darlings – even employees. The company had to even hold a lottery for employees to be able to purchase them. So after months of lotteries, we had a small collection of six Cabbage Patch Kids ready for adoption. I really did not give it too much thought when I lined up the ‘Kids’ on the back seat of my car and left my home in South Windsor, Connecticut on a Saturday afternoon to drive down to see our families in Danbury, Connecticut. But I got a real lesson on what it is like for an innovation to draw a crowd when I stopped at a McDonald’s along the way to get a Diet Coke. The young girl at the drive thru window saw into my back seat, and exclaimed! WOW! Where did you get all those Cabbage Patch Dolls! When an innovation capture’s the public’s imagination – it draws a crowd. Over twenty-five years have passed and I have seen many innovative new products come and go. Some are just a passing fad, but others have real staying power. As an investor, I look for those companies with inventions or solutions that can make life better in one way or another. Products or services that capture the imagination and can, with the right resources, literally draw a crowd in their chosen marketplace. Some of these companies have been in technology – like when Bernie Vonderschmidt, the first Chairman and CEO of Xilinx, shared his vision of the next generation in silicon technology,the FGPGA, or when Dr. Michelle Hanna of RiboMed helped me to imagine a day when we could detect and treat diseases like cancer BEFORE it was too late and our loved ones were suffering. Others have not. But none of the innovations I have invested in have been toys. Perhaps because I never got over the experience of being ‘mobbed by Mommies’ at McDonalds. Millions of articles and blogs have been written on the topic of branding. Google the word ‘branding’ and you will get over 33 million hits!